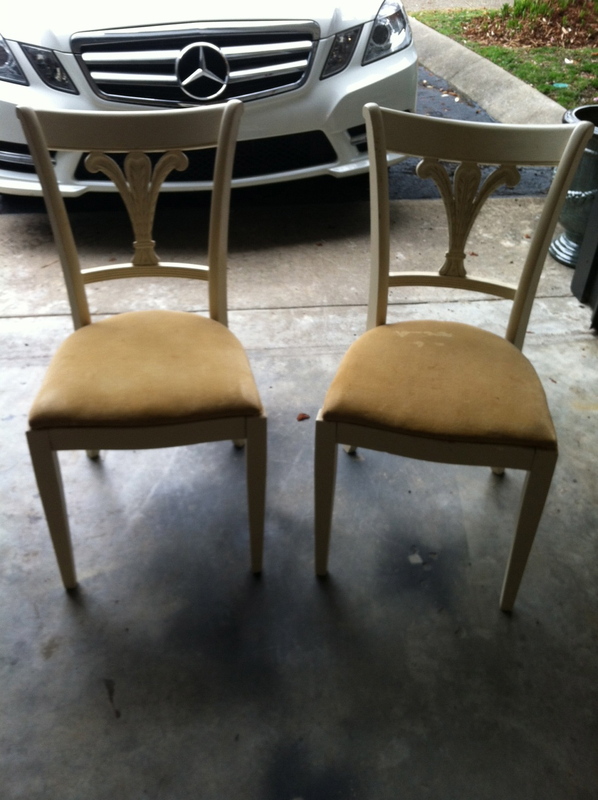 It was also Nashville Flea Market Weekend and I found these chairs for their desks...they have since been refinished in black high gloss paint with newly upholstered seats! With it being FREEZING outside my flea market trip was pretty fast and I didn't "dig" as much as I like too...but still found a few cool things! This vintage brass magazine holder is pretty fun! 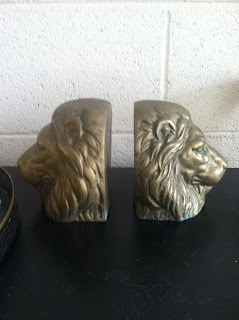 These lion head brass bookends were my favorite find...and they weigh about 15lbs each! This tray I LOVED the greek key edge (no surprise!) but need to paint over the flowers! These are all sitting in the garage until I can find them a good home! The flea market also never disappoints with a plethora of tacky, random items that make you wonder who buys that?! This is case in point (although I can totally see this being something lots of guys would think is cool!). 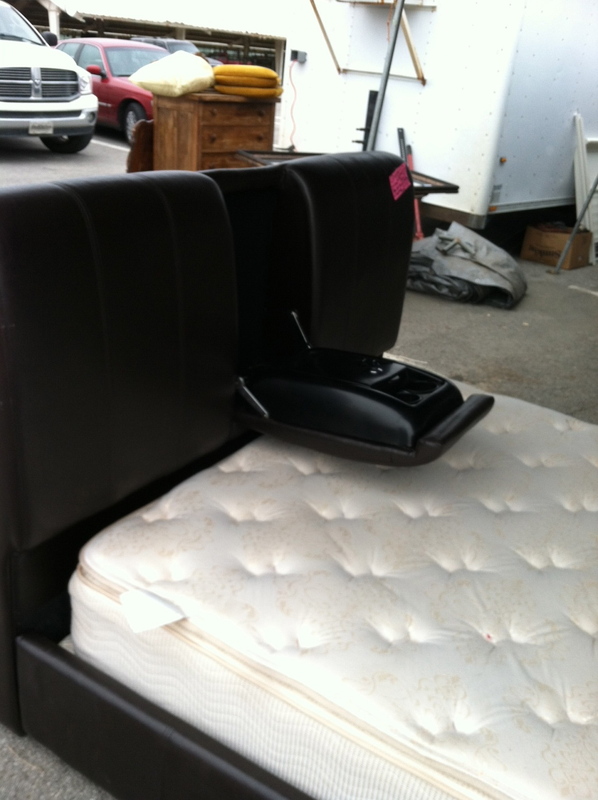 Cup holders built into your bed?! Also included a lock box and little tray area...cray!